To celebrate the study of the Doctrine & Covenants this year, Meridian will serialize The Revised and Enhanced History of Joseph Smith by His Mother. We begin with this introduction today. To see all the installments of this serialization, published in order, click here. Click anywhere on the book cover to buy. Can you imagine what a boon it would be if the mother of any of the great men or women of the world had written their biographies? What if we had personal insights no other historian could give from the mother of George Washington or Joan of Arc? As Latter-day Saints, we have that kind of remarkable resource on the life of Joseph Smith, written by his mother Lucy Mack Smith, a rare thing indeed. Lucy Mack Smith’s history has been available for generations in an edited form. However, Lucy’s original, raw notes, called the Preliminary Manuscript, surfaced again in the late 60’s in the Church archives. 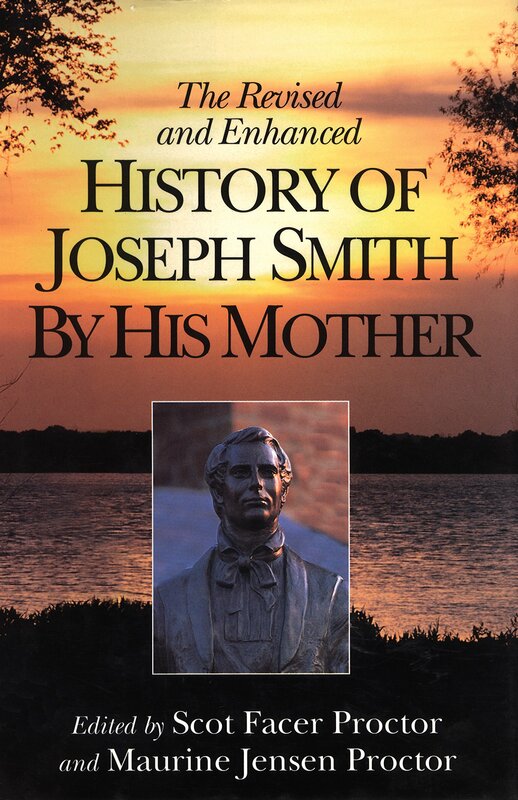 Based on these notes, we re-edited a new edition, called The Revised and Enhanced History of Joseph Smith by His Mother, that was much closer to Lucy’s own voice and includes important scenes and soliloquies taken from the original by the first editors. What do we learn about Joseph in this very personal book that now includes Lucy’s forgotten writing? More than we have seen in the traditional versions we have had for decades. The additions only enhance the story, the affections and the poignancy of one of the most significant sagas of all time. Considered by scholars to be one of the premier source documents about the restoration, Lucy’s story reads like a novel. You become, as one reader said, “a fly on the wall in the Smith family kitchen” reading Lucy’s story. Few can read this story without feeling poignant emotion for Joseph’s life and death. It was the bleak midwinter of 1844-45, only months since her sons Joseph and Hyrum had been murdered by a gloating mob in Carthage Jail, when Lucy Mack Smith sat down to tell her life story to a twenty-three-year-old scribe named Martha Jane Knowlton Coray. Lucy was sixty-nine years old, afflicted, as she said, “by a complication of disease and infirmities” and still aching with loss. But time had proven her wrong. Her nature would be called upon to bear more. On a June night in 1844, word had come to Nauvoo that her two sons had been murdered and thirty-three days later another son, Samuel, would languish and die of complications arising from being chased on horseback by the mob. 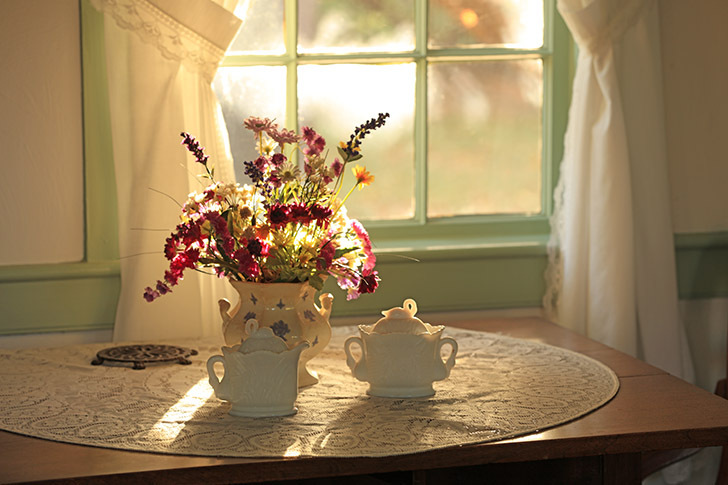 Of her six sons who had lived to maturity, five were gone, and with the exception of some sons-in-law, Lucy’s family was reduced to widows and fatherless children. These weren’t her only losses. Once her son Joseph had received a heavenly vision and had learned that he was the prophet to restore the gospel in the latter days, trial had plagued Lucy. She had lost her farm in New York; she had seen her husband imprisoned; she had trudged through an incessant rain on the way to Missouri that reduced her to near death; she had seen soldiers whoop and holler as they dragged her sons to jail with a death sentence on their heads. It was a woman who not only was willing to pay the price for her religious convictions, but already had, who sat down with the scribe that winter in Nauvoo. Thus, her history rings with sincerity and deeply-felt emotion. However much others may have doubted and harangued her son Joseph, Lucy had no doubt that he was exactly what he claimed himself to be–a prophet. She had a remarkable story to tell and she told it remarkably-with passion, candor, and fluency. Apart from anything else, it would be a wonderful story for generations of readers, but beyond that, it gives a personal glimpse of Joseph Smith seen nowhere else. Here is Joseph dealing with excruciating pain during a crude operation on his leg, sick with misery at Martin Harris’s loss of the 116 pages, laying a cloak down on the hard floor night after night to give someone else is bed in Kirtland. Through Lucy’s recollections, we enter the Smith family home, hear their conversations, watch a young prophet beginning to understand that he has a profound destiny. 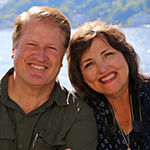 When Lucy had finished telling her story, Martha Jane and her husband, Howard Coray who had been one of Joseph Smith’s clerks, whose assignment included compiling the official historical record of the Church, took her raw notes, the Preliminary Manuscript, and substantially revised them. What had begun as Lucy Mack’s story became the history of Joseph Smith. What was added in the revision was information designed to make it a more balanced and complete history, as well as expand the information on Joseph Smith’s own version of the First Vision and Moroni’s first visit were included. Additional information was added from “The History of Joseph Smith” published earlier in the Times and Seasons. Gaps were filled, necessary explanations added. While Mother Smith was probably frequently consulted during the entire composition, and she clearly gave her approval to the final version, certainly her biggest contribution had already passed. It is not surprising, then, to observe that while the revised version had strengths lacking in the Preliminary Manuscript, it is also further from Lucy’s own voice. The Corays deleted many of her soliloquies, they axed intimate details of family life and affectations, they sometimes avoided emotions, they polished her phrases. Unfortunately, comparing the Preliminary Manuscript with the revised version, it is clear that this is not always a favor. The Corays’ edits led to a more fussy, formal speech pattern than Lucy is given to. Ironically, their changes sound old-fashioned to the modern ear, as opposed to Lucy’s more direct speech. But it is the moving from Lucy’s perceptions and feelings that is the greater loss. Also missing from the 1853 edition is the expression of affection from Joseph Smith Sr. toward his children when they are reunited in Palmyra after some months’ separation. The 1853 edition tells of Lucy and her children arriving in Palmyra with a small portion of our effects, and barely two cents in cash. “I then proceeded on my way, and in a short time I arrived in Palmyra with a small portion of my affects, my babes, and two cents in money, but perfectly happy in the society of my family. “At last, as if led by an invisible spirit, I came to the time [in my memory] when the messenger from Waterloo informed me that the translation was actually completed. My soul swelled with a joy that could scarcely be heightened, except by the reflection that the record which had cost so much labor, suffering, and anxiety was now, in reality, lying beneath my own head-that this identical work had not only been the object which we as a family had pursued so eagerly, but that prophets of ancient days, angels, and even the great God had had his eye upon it. ‘And,’ said I to myself, ‘shall I fear what man can do? Will not the angels watch over the precious relic of the worthy dead and the hope of the living? And am I indeed the mother of a prophet of the God of heaven, the honored instrument in performing so great a work?’ I felt that I was in the purview of angels, and my heart bounded at the thought of the great condescension of the Almighty. This is a poignant scene by itself, but the Preliminary Manuscript adds a heartrending note. The Revised and Enhanced History of Joseph Smith by His Mother keeps the best of the additions the Coray’s added to the manuscript while including Lucy’s fresh language and passionate insights. Each chapter comes with many footnotes that place Lucy’s story in its larger context in church history. While you study the Doctrine & Covenants, we hope you’ll enjoy the personal insights of the mother of the prophet as we serialize Lucy’s story this year. Thank you for posting these additions to a book that I hold dear. The more we know about these stalwart founders of our restoration, the better we can spread the gospel, suffer to the end & know the future of our country is in God's hands. Keep seeking your ancestors & truly you will be given wisdom, knowledge & like Lucy--the ability to stand strong against the adversary. My wife is a 6th? grand-daughter of Samuel Smith and (of course) 7th of Joseph Smith Sr. She is as emotional as Lucy and cares about her children often to the point of excluding herself from the joy she deserves. (She even has the sculpted chin and big eyes of Lucy!) It will be good for her to hear the true Lucy so she can experience a relief, learning her intense emotions are equally noble.